When you visit Armenia and get acquainted with its historical and cultural heritage don’t miss your chance to learn also about the modern, young and active side of Yerevan. Be active or passive, conservative or progressive, everyone has an opportunity to have an unforgettable evening here. 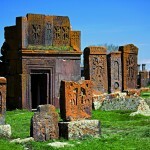 The quality of service in Armenia has been improved recently. Besides this it is known that the Armenian are rather hospitable people. Wherever you go in Armenia you are greeted with a smile and served with high quality. By the way, recently Yerevan has been included in the list of the most secured and safe cities in the world, this means that you can walk in Yerevan streets till late night and be quite calm. So, how you would like to pass your time? Would you like to taste national dishes, to have a cup of coffee in a European style café, or to drink beer in a pub? Maybe you prefer jazz? 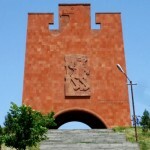 The classical music fans can use the free time to visit the Theatre of Opera and Ballet by Alexander Spendiarian, Aram Khachaturian Concert Hall, Arno Babadjanian Concert Hall, the House of Chamber Music, and modern music fans may visit the Complex of Sports and Concerts by Karen Demirchian. The tickets are much cheaper than in Europe. The jazz lovers must not miss an evening with the legendary Armenian jazzman Levon Malkhasyan – Malkhas – at Malkhas Jazz Club. Reserve the table beforehand and enjoy the jazz night. There are a lot of restaurants in Yerevan offering Armenian, European, Oriental and others cuisine; cafes, terraces, bars, discos and clubs, most of which is open until late at night and you can enjoy some live music (Mezzo, Coliseum, …). You better start with the gorgeous Cascade. There is not a single tourist who will not admire this architectural masterpiece. After visiting the “Cafesjian center for the arts” located in Cascade you can have rest in one of the cafes or restaurants which can be found on the parkways leading to Cascade itself. 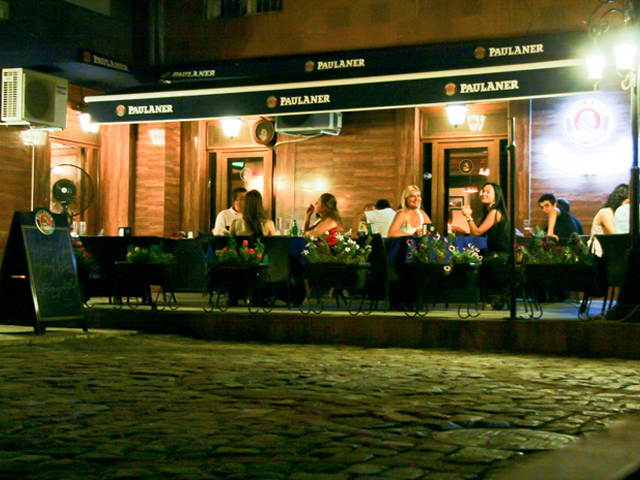 Here you can visit also one of the best beer pubs in Yerevan called “Paulaner Armenia” where the environment, the beer and the quality of the service correspond to European standards. If you are not fond of beer you can visit “Retro café”. The name itself speaks about the style of the café. If you once visit this place don’t miss your chance to taste one of the deserts in the menu. There are small, cozy cafes around allays here located one after another – Malocco, Julius Meinl, Studio, Charles, Green Bean… You can find the pages of all the mentioned cafes in Facebook. You can even chose and reserve a table beforehand, though mostly there is no need for reserving. Most of the cafes are situated mainly in North Avenue. 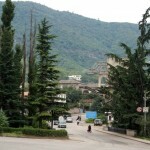 This is an avenue designed exceptionally for the pedestrians and is located in the very heart of Yerevan. Here, besides visiting the cafes, you can also listen to different styles of street music. 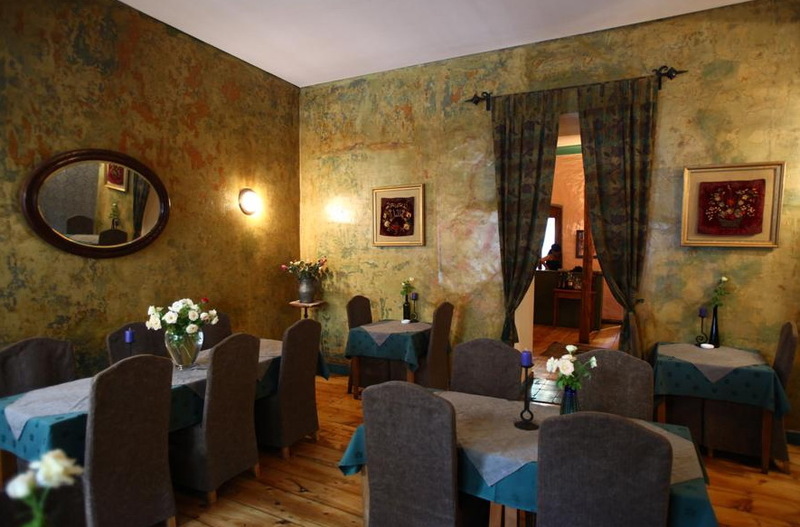 Here the café La Piazza is to be singled out for its elegant decoration and tasty food. You can try different types of coffees in “Caffe Vergnano”. If you love sweets you should visit “Cinnabon”: make sure this will be the best cinnabon you have ever tasted. Not so far from North Avenue, on the crossway of Pushkin and Abovyan streets there are two luxury restaurants facing each other – Dolmama and Salon Armenian . It is a crime to visit Yerevan and not to taste national traditional dishes. You at least have to taste the real Armenian dolma and harisa (traditional food prepared with chicken meat and groats) with Armenian brandy and wine. Reserve a table in these restaurants beforehand and keep in mind that here the prices are a little bit higher than in other places. The lunch for two will cost about $100. In summer you can hide from the scorching sun and the heat of the city and relax at Valencia Water Park. Those who want to spend their free time in casinos must go to the suburbs of Yerevan. The casinos are on the way to Yerevan – in Zvartnots airport and in Yerevan – in Sevan. Mind that in all evening leisure places there is free wi-fi. Don’t forget to check-in and leave your opinion.Welcome to Yerevan and have a nice time!